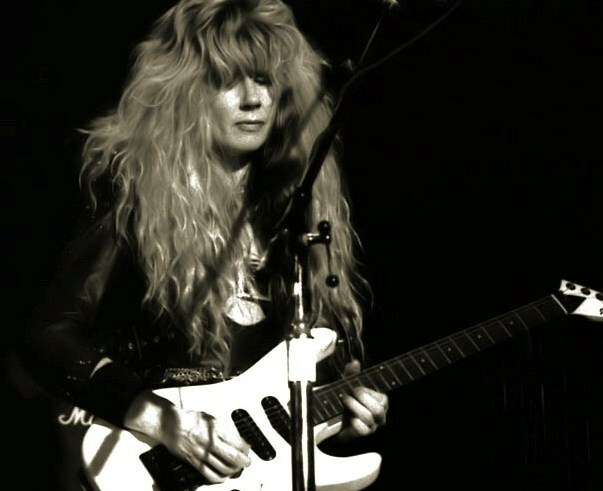 At the age of just 51, founding member and guitarist Jan Kuehnemund of pioneering 80s all-girl Rockband VIXEN has passed away after a long battle with cancer. The band’s official homepage stated the following condolences: “It is with profound sadness that we announce the sudden passing of Vixen founder and lead guitarist, Jan Kuehnemund, who lost a fierce battle with cancer on Thursday, October 10, 2013. Though most well known for her gifted guitar playing and other musical talents, Jan was a rare friend and beautiful in every sense of the word. Humble, thoughtful, loyal and kind, she was the most gracious of women, possessing the quiet strength of a true warrior. She genuinely loved and appreciated her friends and fans more than most could ever know. Those who were most fortunate to have known her and loved her are heartbroken at the loss of Jan, whose spirit will shine through her music eternally. Jan was very courageous. Never complained. Never gave up. The cancer beat her body but it NEVER broke her spirit at any point. Up until the actual moment that she died, she really believed she was going back home. Vixen, one of the most successful female rock bands in the world, produced massive hits like “Edge of a Broken Heart” and “Cryin’” securing their position in the rock charts – including 4 singles in Billboard’s Hot 100. Vixen has reappeared with two new albums, a delicate explosion of new talent and passionate forces, producing a new sound while staying true to their roots. I still love Vixen after so many moons. Oh boy what a sad loss for rock:(:(:(:(…I didn’t even know she was so sick…..bummer:(:(…I’m 55 and she passed away at 51…a tear comes to my eye…truly…really. I’ve been listening to vixen for over 20 years. Went to there very first concert and had a blast. She was a very beautiful and talented woman. Such a sad loss. God bless her and keep her while she looks down on us from heaven.